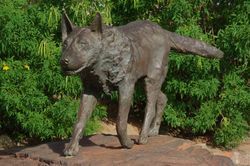 Statue of Kelpie/ Cattle dog cross known as "Red Dog". 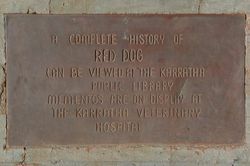 The nickname, "Red Dog" has been attributed to the red dirt of the Pilbara Region. 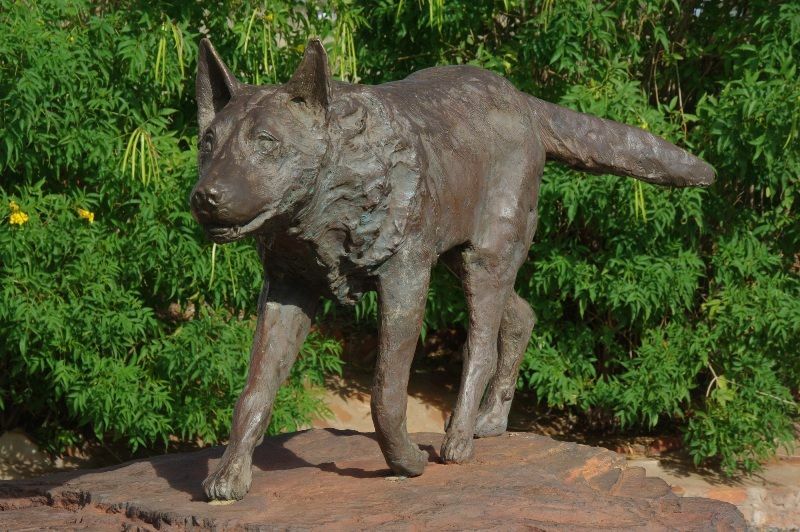 Red Dog was born in the area and travelled between Perth and Broome, and was known by many of the locals throughout the Pilbara and he travelled to many locations including Karratha, Dampier, Roebourne, Point Sampson, Port Hedland, Tom Price, Paraburdoo, Broome and even Perth. 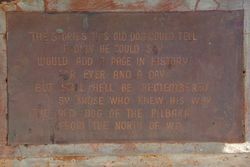 He had an amazing homing instinct, always returning to either Dampier or Karratha where he preferred to base himself. He died in November 1979, believed to have been poisoned by strychnine bait. 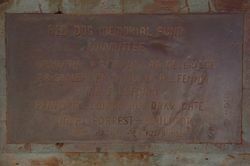 He is buried in an unmarked grave somewhere between Dampier and Karratha. PRINCIPAL DONOR MR. ORKY DATE. FROM THE NORTH OF W.A.